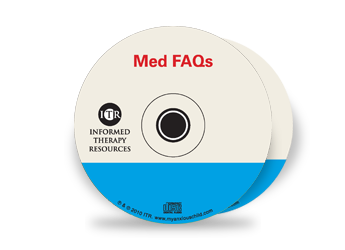 Med FAQ is a series of interviews with Neuropsychiatrist Dr. James Lee that answers questions related to child anxiety, teen depression and adult anxiety. The interviews are hosted by Dr David Russ and Dr Chris McCarthy, the creators of Turnaround program. Please note this is a physical product (not digital) and it is available for US orders only. Are you needing answers from a medical specialist about placing your anxious child on medication? Are you concerned about side effects, long-term use, and how the medications work? What are the medications used to treat children with anxiety? What are the different types of child anxiety, such as GAD, OCD, Panic Attacks, or Phobias? Are the potential side-effects worth the risk? What are the risks if I do not seek treatment? How do I find a the right doctor to help my anxious child? What is the importance of sleep, diet, and exercise? What role do parents play in child anxiety? Is it normal childhood fears, or something more? Having a teen struggle with depression and anxiety is deeply concerning. You may wondering if medication is the right answer for him or her? You may be concerned about side effects, long-term use, and how the medications work? What causes adolescent depression and anxiety? What are the medications are used to treat adolescent depression and anxiety? Is teenage depression different from adult depression? Is there such a thing as “normal” teenage depression? Are the potential side-effects of medications worth the risk? Bi-Polar is a common diagnosis these days. What is that? Does the thought of placing yourself on medication make you anxious? Are you concerned about side effects, long-term use, and how the medications work? This CD interview deals only with adult issues. What are the medications used to treat anxiety? What are the different types of anxiety, such as GAD, OCD, Performance Anxiety, Panic Attacks, and others? What role does childhood play in adult anxiety? How long does a person have to stay on medication? Shipping is $3.95 (per order) for US orders.